We have carpet bling! Schroeder has just received Rosecore’s new Mesa Luna collection and it is beautiful. 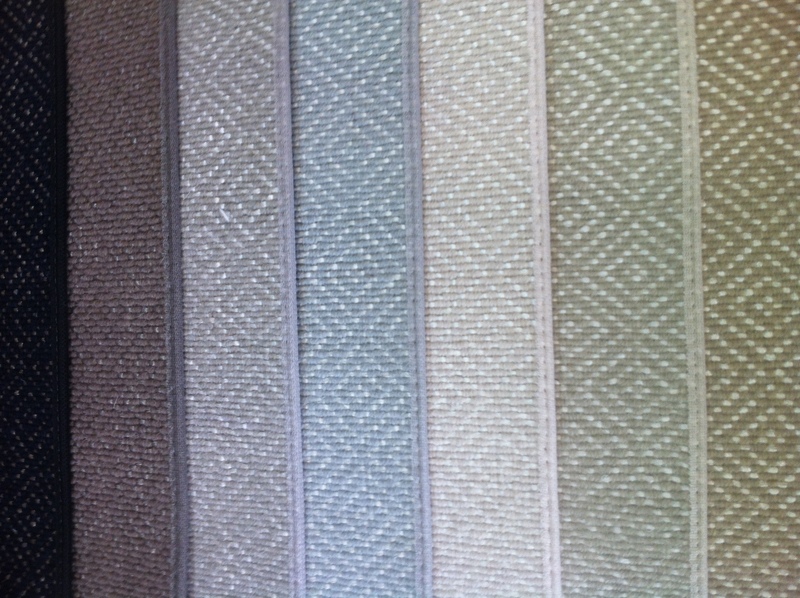 This new collection is a flatweave made of wool and a metallic polyester weave. This combination is great because it ensures that any spills can be easily cleaned! The new collection comes in seven colors: indigo, golden wheat, navajo, parchment, silver, sky and smoke. This carpet comes 15 feet wide and can be installed wall-to-wall or made into a custom area rug or staircase runner. Come by Schroeder today to learn about this beautiful carpet and how it can be installed in your house today. Rosecore’s Mesa Luna comes in seven beautiful colors. 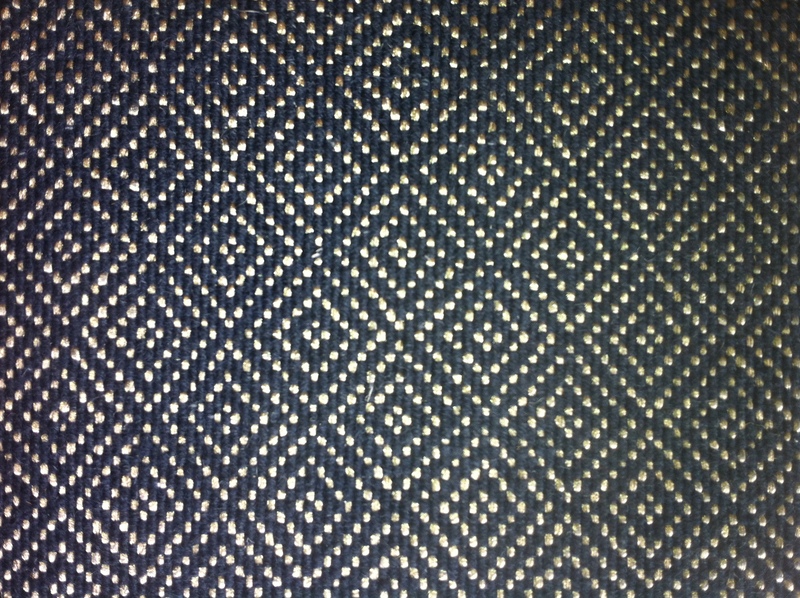 Come by Schroeder in Austin to learn how this flatweave would be prefect for your house as a wall-to-wall installation, as a custom area rug or as a staircase runner. This is a closer look at Rosecore’s Mesa Luna collection. The metallic material highlights the geometric design and allows for a fun addition to any room in your house. Animal prints have been a popular choice at Schroeder. One of the reasons is because animal prints can be a neutral design base for a room. Yes, animal prints can be neutral. The prints are typically a combination of neutral colors (such as beige, off white, brown, tan and black) with soft shapes (such as spots and stripes). Zebra print in an excellent choice for a modern and neutral pattern. Most think that a zebra print is two colors: black and white. But there are many color combinations including gray and off white, beige and black, tan and brown, just to name a few. 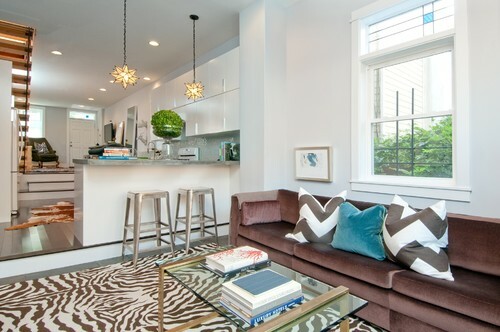 Below is an example of an off white and brown zebra print area rug that looks refreshing in a modern living room. Off white and brown zebra print area rug in living room. But zebra print is not just for living rooms. 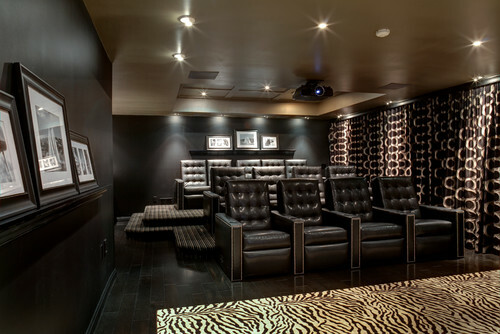 Below are two examples of zebra print used in a media rooms. 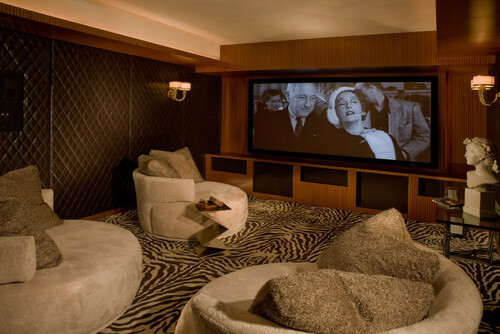 Zebra is a great choice for a media room because the stripes create a busy design to mask any spills that might occur and as well as create a modern pattern that can set the tone for a classic hollywood or a black and white modern media room. Zebra print in media room. Have you ever thought about zebra print in child’s room? 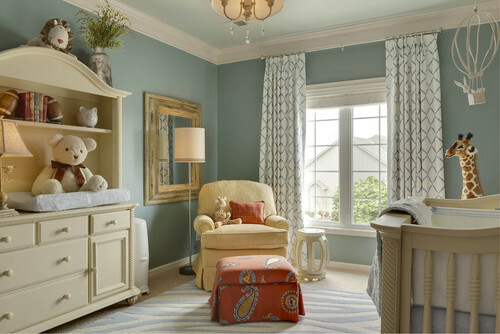 Zebra print can also make a great addition to a child’s room because the stripes can be a subtle addition to soft palettes of blue, pink, yellow or green. To find our more about zebra print, make an appointment or come by and see us! Zebra print in a child’s room.